This is 12 Gauge Fiocchi Rubber Baton Ammo. 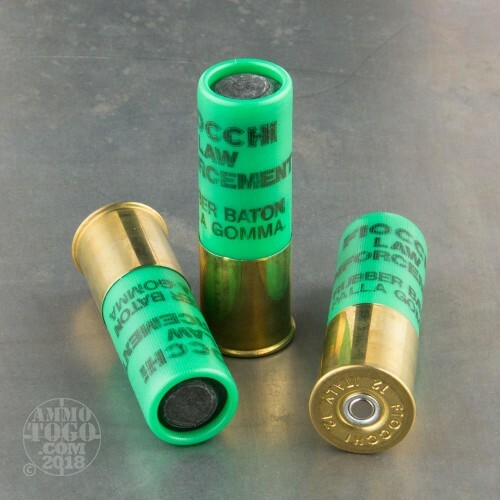 This ammo is a less than lethal round used to deter animals or people from certain activities. 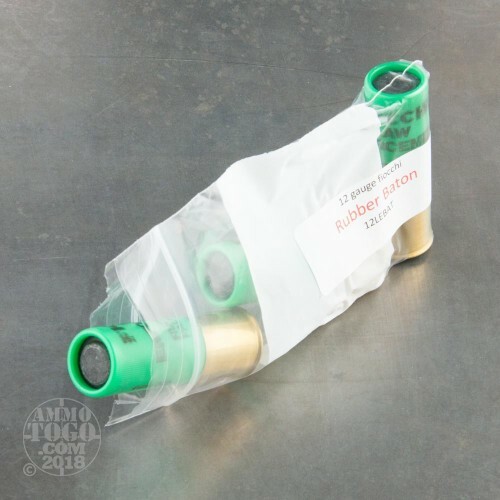 This is a direct fire 12 gauge round that fires a 70gr. 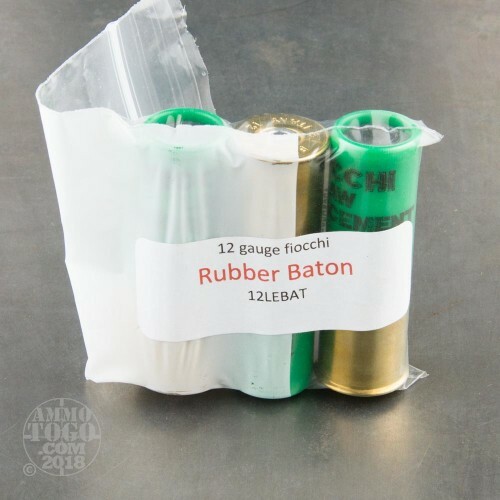 rubber baton projectile and has 105 pounds of energy at 15 to 25 yards.